Rebranding your business might be a little challenging, but it is clearly a fascinating procedure that will provide outstanding commercial advantages if done by the book. Simply put, it can give your product or service a brand new life. However, it needs to be based on a strategy. You need to actually understand the process and be creative about it if you truly want to achieve as much as possible from it. A new logo becomes a good choice after a considerable growth within a particular time frame. This is not necessarily related to the financial growth though. Instead, it may also mean a form of expansion. Perhaps you manage to penetrate some new markets or maybe your business is simply outgrowing the current branding. This is what drove plenty of large companies toward new logos. Discover yourself how companies like Chupa Chups, Ford, AT&T, LEGO or P&G have upgraded their logos based on the latest trends and tendencies in this industry. The world is changing – there are no doubts about it. Having an outdated logo will display an old fashioned image. The logo does not sell by itself, indeed, but it has a huge impact over the impression you make to your customers. 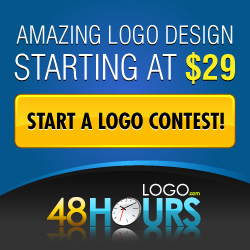 Previous post: Why Are Logo Design Contests So Popular Today?